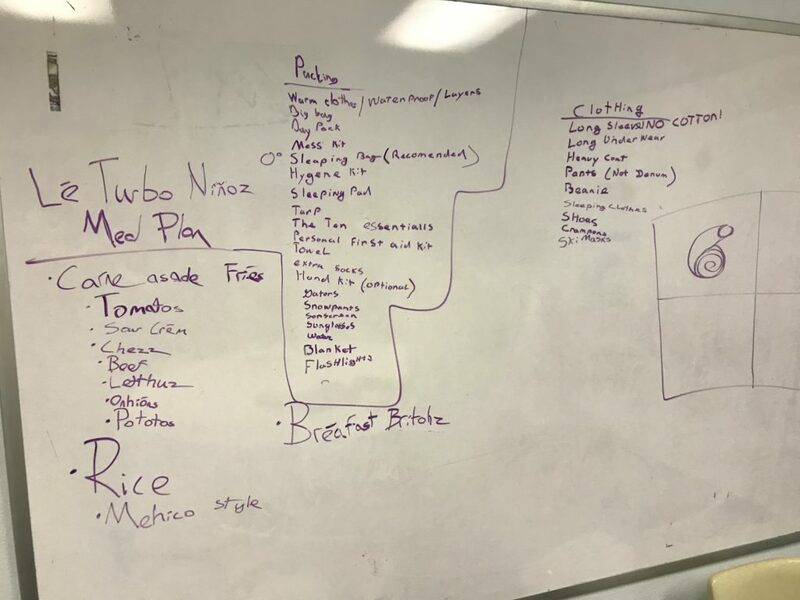 Above is a pic of the packing list that the scouts came up with last meeting. Please bring in your packing list gear, the best that you can so we can discuss ideas. We will also need to solidify the meal plan and determine who is going to be the Grub Chief for this outing. For those that need to complete the Snow Sports Merit Badge, please download and print off the worksheet. Fill out what you can and we will discuss on the outing. Scouts should also be ready to accomplish any rank advancements that you needs. So please bring a personal list of items so we can knock out a few requirements here and there. We will be going to Mueller State Park. We will meet at the church on Friday the 25th at 530pm and we will return on Sunday the 27th no later than 10am. We will text/call parents when we are on our way back to pass on a more precise time.